It's GIVEAWAY time! First things first, if you haven't checked out my review of Katie Melua's new album, The House, make sure you do so HERE. I couldn't wait for the new album to be released stateside, so I snatched mine up right when it came out in Europe and have been enjoying it ever since. The House is due out tomorrow, August 3rd in the U.S. and I'm giving one of my U.S. readers the chance to win a copy. This STUNNING record is Melua's "most mature album to date" according to All Music, "a bold, atmospheric record" according to Q and a "her best yet" according to The Times. Melua wrote/co-wrote eleven of the twelve songs on the album, joining forces with Guy Chambers, Lauren Christy, Polly Scattergood, Rick Nowels and long-time producer Mike Batt. Melua has made, what I think might her best album since her 2003 debut, Call Off The Search. It's a beautiful, dark and dramatic album filled with rich melodies, lush orchestration and heartfelt lyrics. 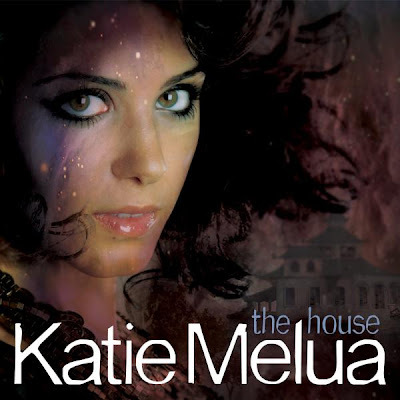 1 winner will receive a copy of Katie Melua's new album 'The House,' out August 3rd on Dramatico/Universal Records. Winner will be selected randomly using Random.org on MONDAY, AUGUST 9th at 12:00 AM EST. This contest is open to U.S. residents only. One entry per person please. For album artwork and tracklisting please click below the jump. Well. Here is the video for Gabriella Cilmi's new ballad, "Defender." I say it again...this is a perfectly pretty ballad...nothing more. I don't blame the label for releasing "Defender" as the third single off of her second album, Ten. First single, "On A Mission" peaked at #9 on the UK singles chart, while the Xenomania-produced "Hearts Don't Lie" only managed to hit #134. Why not try a ballad this time? "Defender" will be released as a double A-Side single on August 23rd, alongside non-album track "Magic Carpet Ride." The single was written by Cilmi, George Astasio, Jason Pebworth and Jon Shave and produced by The Invisible Men, the same production team responsible for "On A Mission." The rather literal video features a defiant Cilmi transforming from beautiful singer into...ninja? Walking down a long corridor Cilmi strips herself of jewelery and clothing before getting hosed down, chopping her hair and suiting up in her ninja gear. She'll be your defender, alright...but a defender of what exactly? The video, for what it's worth, is beautifully shot. Cilmi looks absolutely stunning. While I'd love for this song to go Top Ten, I just don't see it happening. If the disco-infused "Hearts Don't Lie" (my favorite song on the album) failed to crack even the Top 100...I sincerely doubt that this soapy ballad is going to do much better. Fingers crossed though. I'd hate for this to be it. For those of you who have been reading my blog for a while, my love for UK singer/songwriter Katie Melua is well known. I've raved about hearing her sing live, I've raved about her albums, I've raved about her videos. On the eve of the U.S. release of her latest masterpiece, The House on August 3rd I thought a proper album review might be in order. Then I thought, 'wouldn't a CD giveaway go nicely with a review?' YES! Check out my review and stay tuned for a giveaway! In many ways The House is nothing new for Melua. Complexly beautiful melodies...CHECK. Haunting choruses...CHECK. Meaningful lyrics...CHECK. What The House has that previous albums did not is producer William Orbit. Evidently, Melua's alluring vocals were enough to bring Orbit out of semi-retirement, which should be considered something of a compliment. Known for his work with a variety of pop and electronica artists including Étienne Daho, U2, All Saints and Madonna, (for whom he produced the ever-fabulous Ray of Light album) Orbit's collaboration with Katie Melua might seem like a bit of a stretch...but it's surprisingly perfect. The official tracklisting for Katie Perry's sure-to-be pop masterpiece, Teenage Dream is HERE. The 12-track LP features Perry's #1 hit, the Snoop Dogg-assisted "California Girls" as well as second single, "Teenage Dream," which managed to debut at #20 spot on the Billboard Hot 100. Album tracks were produced by Dr. Luke, Max Martin, Benny Blanco, Tricky Stewart, The-Dream, and Greg Wells. The album will be released August 24th in North America, August 30th worldwide. File it under 'LOVE THIS!' 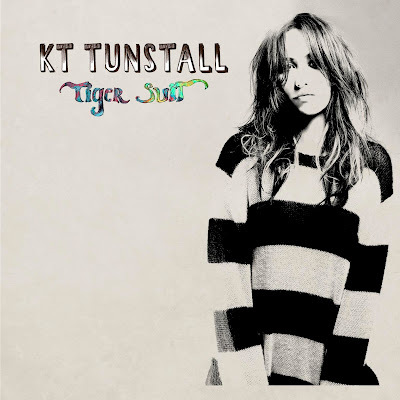 Singer/Songwriter KT Tunstall has unveiled the album artwork for her upcoming 3rd studio album, Tiger Suit, due out September 28th in the U.S. (September 27th in the UK). The Tiger Suit album marks Tunstall's first foray into what she calls "nature techno," which is "a blend of organic instrumentation and electronic, dance-friendly textures." Due out August 10th, the first U.S. single will be "Fade Like A Shadow," while the first UK single "Glamour Puss," released on September 13th. Earlier this summer, Tunstall gave us a taste of this "nature" techno with "Push That Knot Away." I, for one, can't WAIT to hear more.